Some excellent fishing last week with a timely return to both morning and evening rises when temperatures allow, they are rising all the time at present! Biggest of the week of the last ten days is a huge 19 lb 6 oz Rainbow brought to the net by Peter Appleby from Durham using a Appleby special worm on a 4lb leader. Glenn Appleby and Dean returned a massive 55 fish from the Doxford Lake last week and from Washington Edd Dunbar's best Trout was a 9 pounder from a total of 7. Bill Bain also from Washington also caught 26 trout. Two hard fighting 8 pounders were taken by both John Ord and and Dave Cardwell from Darlington, both netted over 10 fish each. Some excellent fishing this week with a timely return to both morning and evening rises when temperatures allow.There were desperate efforts to initiate a proper Spring as the thermometer showed signs of rising-until Friday when the jet stream moved south-again-bringing altogether cooler weather and a lot less midgy sport. Prior to this both sub-surface pupae and emergent dries accounted for fish.Of the latter,foam-heads in black, olive and brown have all had their moments.On windier days,it payed to fish them within 3 meters of the upwind (calm) banks where the trout were picking off recently emerged midges that were just beginning to drift whilst wing-drying.In any case the resident brownies have returned to their marginal patrol routes so close in is a good place to start. 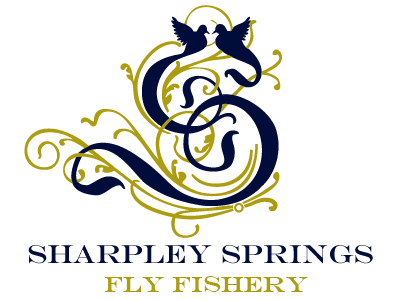 We open at 6 am to be on the water at 6.30 am and close 40 min after Dusk, The latest time to be off the water in the summer is 10 pm, this is to let Anglers fishing at the best part of the Day.